Along with the growth of creative industry, co-working concept arises and proliferates in the recent years as a new kind of modern working place. “Co-working is a style of work that involves a shared working environment, often an office, and independent activity. Unlike in a typical office environment, those co-working are usually not employed by the same organization.” (Carsten, 2011). You can either work in a small team or work on your own project individually, but everyone in the same space will have the same opportunity to make a contact and socialize with the others. Co-working concept looks to be a very attractive option to most of people who are generally mobile and works flexibly at casual hours, such as freelancers in creative industries, solo entrepreneurs, independent contractors, social innovators, work-at-home professionals, or working travellers. They do not constantly need a lot of working space, but to some degree they will also need working amenities and meeting spaces that usually provided in a conventional office environment but cannot be found in casual places such as cafes. As a solution, one can only rent an individual spot in a flexible co-working space at an economical rate, but be able to access the whole facilities that are shared together with the other co-workers. Not only a desk and a chair, you can enjoy unlimited internet, meetings, pantry with free snacks and drinks, electricity with power backup, printers and scanners, storage, as well as cleaning services. Co-working concept is indeed beneficial for young professionals and start-up entrepreneurs, because it only requires low-cost investment. 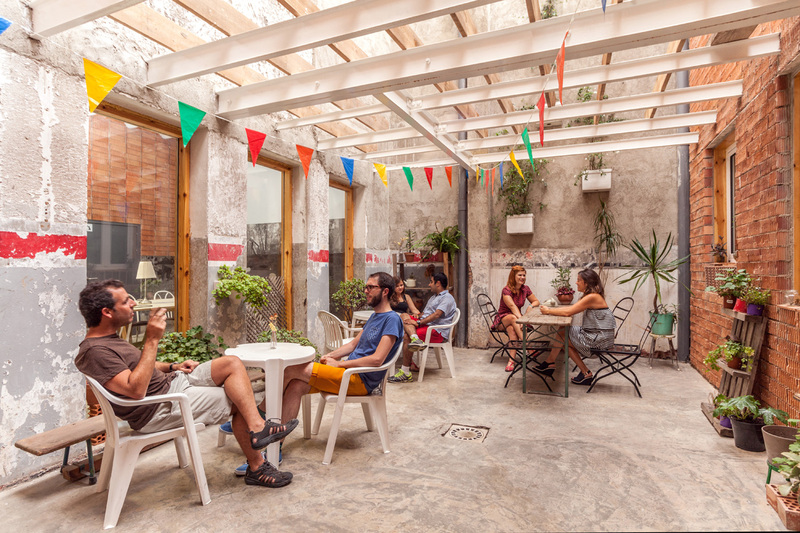 The sharing concept of this working lifestyle is highly sustainable due to the efficient use of shared resources, space, energy, and building infrastructures. Besides economical consideration of sharing principle, the most essential uniqueness of co-working space is actually the principle of community network. To a certain degree, people who choose the same co-working space have the same professional interest, same work ethics, same intention or working purposes. The idea is to form a professional cluster or labor pooling, where people can face a trade-off between the benefits of casual networking, cultural and information exchange, brainstorming, and new collaborations. In this way, you can still have a freedom and flexibility to work alone, but always open to new knowledge and other opportunities, so your productivity and creativity will be enhanced. One can locally embed oneself, but globally connected. 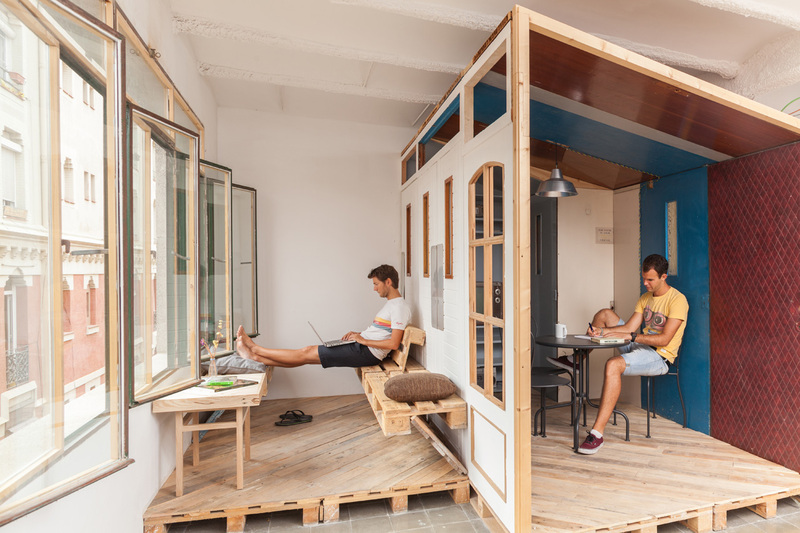 But co-working is different from a business incubator, because it focuses on connected community rather than profit-oriented think-tanks (Dan, 2008).